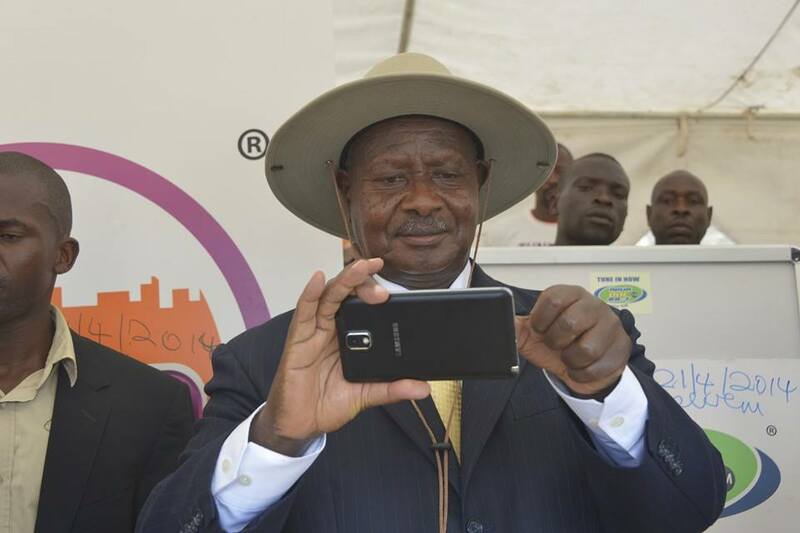 It’s all fun and games till Yoweri Museveni becomes the first East African President to take a selfie. Selfies with presidents and famous people have become common, this includes Barrack, US president who even initiated his VP Joe Biden into the world of selfies. Samsung is known for those self endorsing selfies starting with the famous Ellen Degeneres selfie that got over 3 million retweets at the Oscars earlier in the year. Taking a selfie, at celebrations to mark 100 years of West Nile in Uganda, Boma grounds, Arua Municipality. I have over time received numerous requests from our young people for a selfie, and I dedicate this to you, to the online community and to all my followers. At least Uganda has a first, a selfie where the thumb is involved. Yoweri or his team haven’t shared the actual selfie though the photo of him taking a selfie has already gone viral.